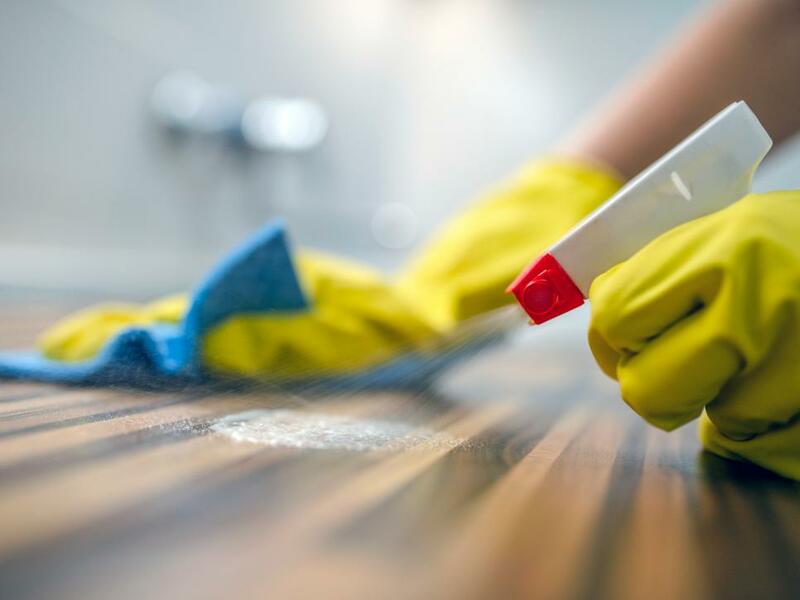 You probably have plenty of simple tricks to keep your kitchen clean, but it turns out some of these habits may actually contribute to the mess and spread germs. Here are 9 “clean” habits that are making your kitchen dirtier, and what you should be doing instead. Mistake: When you rinse your chicken and meat, you are causing water and bacteria to splash on countertops and around the sink. Instead: Avoid rinsing, as cooking your chicken and meat to the proper minimum internal cooking temperature should destroy any bacteria lingering on it. Mistake: Bacteria love to grow at room temperature and can do so if your food is left out for over two hours. 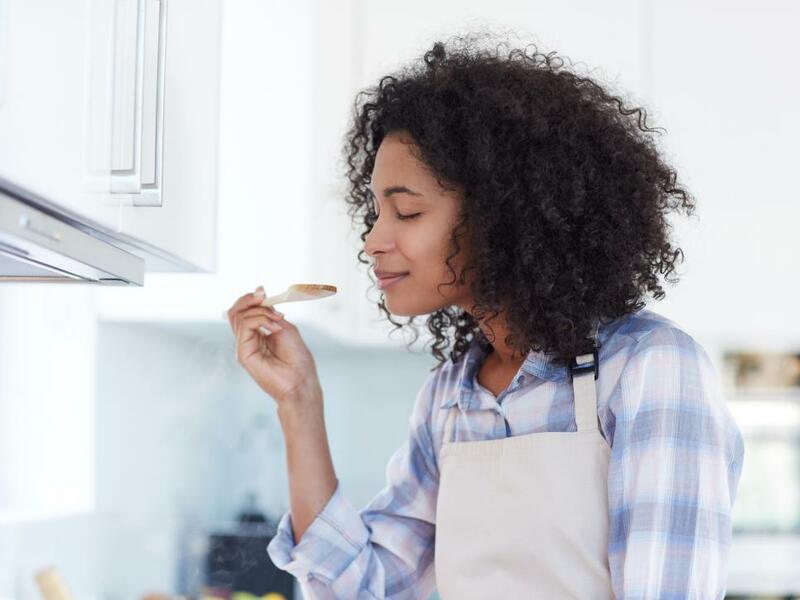 Instead: Piping hot food should never be placed in the fridge (it will warm the interior), but the fridge can handle temperatures of 70-degrees or below, so don’t let you food sit for more than two hours. Mistake: Tasting the food you’re about to serve to check if its “good” thinking you are preventing illness of family members or guests. Instead: When in doubt, toss the food out. Mistake: Returning leftovers to the fridge. Instead: Toss food that sits out at room temperature for over 2 hours, or 1 hour if temperatures exceed 90-degrees. Mistake: Checking the color of chicken or meat for doneness. Although you may be eyeballing your chicken and meat for doneness, visual cues can be deceiving. Instead: Use a thermometer to check the internal temperature of the food. Mistake: It’s correct to place raw chicken or meat in the refrigerator to defrost, however, if you’ve put it at the top of your fridge the juices can drip over ready-to-eat foods. Instead: Store raw chicken or meat that is defrosting in the fridge on the lower shelves and make sure to wrap or cover it to catch any juices that may drip. Mistake: Putting a clean knife in the knife block. Instead: Wash the knife and use a small brush to scrub the slots of the knife block. Rinse the block in cool water, and then sanitize in a mixture of water and bleach. Mistake: Storing glasses and stemware upside down to prevent dirt from getting inside. Instead: Store the glasses right side up in a closed cabinet. This will help keep them intact and dust-free. Mistake: Quickly cleaning your blender. Instead: Before washing the blender, completely disassemble it, including the blade and gasket at the bottom. If hand washing, wash all the separated pieces in hot soapy water, rinse, and dry before re-assembling.